Last month, the largest private prison operator in the United States announced that it would be closing one of its facilities in New Mexico. The reason? Too many empty beds. “Unfortunately, a declining detainee population in general has forced us to make difficult decisions in order to maximize utilization of our resources,” a representative of Core Civic said. Few things illustrate the perverse incentives fueling America’s private prison industry more than a spokesperson lamenting a lack of people behind bars. Of the 1.5 million people incarcerated in the U.S. at the end of 2015 (when the latest data was available), 8 percent were held in private prisons, the majority of them at the state level. (See this fact sheet from the Sentencing Project for complete data on private prison usage by state.) The number of Americans in private prisons has jumped 45 percent since 2000, and in states like Montana and New Mexico, more than 40 percent of inmates are in privately run facilities. The cost to taxpayers is $4 billion annually. That money is usually paid in the form of a stipend per prisoner, meaning private prisons gain revenue the more people are imprisoned. And because stipends are fixed, prison operators are incentivized to scale back education or vocational training programs that help inmates re-enter society. That drive for cost savings has led to understaffing and substandard conditions at many private prisons. What if, instead, private prisons were incentivized to keep people out of prison? In New Zealand, the government is experimenting with a model meant to do just that. In 2015, it cut the ribbon on a prison designed, from the ground up, to discourage inmates from returning. The Auckland South Correctional Facility, known as Wiri, is the largest privately run prison in New Zealand. But what sets it apart is its bold application of an approach called payment-by-results, which links payments to outcomes. For Wiri, those outcomes include a 10 percent reduction in the rate of recidivism and better outcomes for inmates who are Maori, an indigenous group overrepresented in New Zealand’s prisons. If Wiri outperforms state facilities on these measures, the consortium of private entities that built, operate, and maintain the prison will receive incentive payments. For every incident—a brawl in the mess hall, say—payments to the consortium are cut. More serious breaches, such as an inmate death or an escape, result in a financial penalty. From July to December 2016, total abatements amounted to just under $60,000 (data about incentive payments will be available next year), according to a performance report from the New Zealand Department of Corrections. The government of New Zealand estimates that this payment structure will save NZD $170 million (about USD $123 million) over the 25-year life of the contract. Variations of payment-by-results have been used in prisons before, with varying degrees of effectiveness. Peterborough Prison in England and Rikers Island in New York (both state-run facilities) have used social impact bonds, which pay investors only if the desired social outcomes are achieved. (They were at Peterborough, but not at Rikers.) This mitigates the risk of wasting taxpayer dollars on ineffective interventions, but it leaves incentives inside the prison untouched. At Wiri, the people running the facility—the ones deciding how many guards are on shift or which inmates get medical care—also benefit. Wiri is also unusually ambitious. Most payment-by-results contracts are designed around a specific intervention and population. The Rikers social impact bond, for example, funded a cognitive behavioral therapy program for youth. At Wiri, the aim of lowering recidivism and improving prisoner outcomes shapes everything about the project, including the layout and construction of the facility itself. The prison grounds include three X-shaped main buildings arranged in a row, followed by ten autonomous residences. The farthest building from the prison gate holds the most violent offenders and is the most restrictive. Good behavior enables inmates to move into the next building over, and then the next one, and, eventually, into the pavilion adjacent the gate. It’s a symbolic progression, but also a calculated one. By the time inmates are in autonomous residences, they are moving about freely, doing many of the things they would do outside the prison walls—making their own meals, doing their own laundry, and scheduling doctors’ appointments. Inside the prison, inmates have access the cellphones and computers, to help them build job skills and maintain connections outside the walls; they meet with family members in plain clothes, in a well-lit room with soft chairs and a play area for children. Officers are encouraged to build relationships with inmates, addressing them by their first name or by “Mr.” followed by the inmate’s surname—so John or Mr. Smith, but never just Smith. To encourage innovation, Brousse cautions against contracts that are overly prescriptive: “Give us a problem and we will fix it, and we will put our money behind it,” he says. “But give us the freedom to design the solution.” In other words, if private operators are going to be held accountable for outcomes, they want some autonomy around how those outcomes are delivered. By changing how contracts are written, governments can change the calculus for private prisons to emphasize rehabilitation and reentry. A lack of long-run data makes it too early to know how well the model is working. A provisional performance report from the prison’s first 18 months of operation ranked it among the lowest performing out of all of New Zealand’s prisons. The performance report from the last quarter of 2016, however, rated it as “Effective.” Data on recidivism rates won’t be available until next year. Still, Wiri could be a compelling alternative to a feckless U.S. system that pays for every warm bed. That system emerged from the tough-on-crime policies of the 1980s and ’90s, which caused prison populations to balloon. Governments began contracting with private prisons to alleviate overcrowding, bolstered by the belief that private industry could do the job more cheaply. While research on costs is mixed, recent studies have found that cost savings in private prisons are modest at best. The Department of Justice under President Obama issued a directive to phase out the use of private prisons, saying they “do not save substantially on costs.” That directive was reversed as part of the Trump administration’s tough-on-crime agenda, sending private prison stocks soaring. 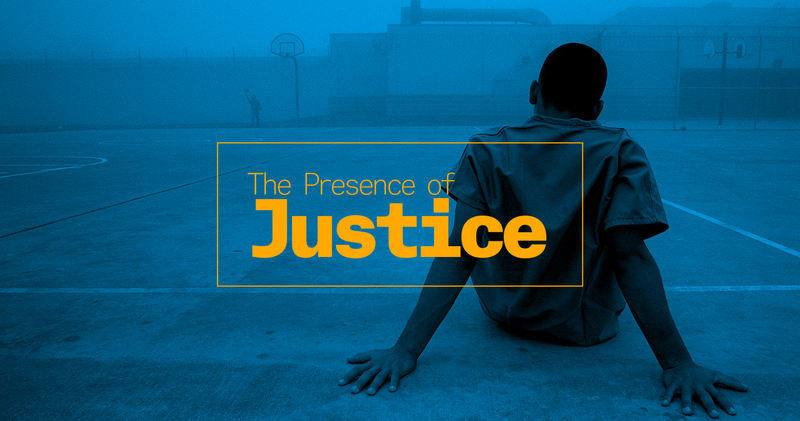 For the time being at least, private prisons remain a reality of the American criminal justice system. But that doesn’t have to mean business as usual. By changing how contracts are written, governments can change the calculus for private prisons to better emphasize rehabilitation and reentry—policy aims with broad bipartisan and public support. Payment-by-results can be applied to a wide range of issue areas, as well: Shah sees possibilities for the model in healthcare, energy, education, and urban infrastructure. New Zealand recently contracted for the construction of a motorway that links payments to the operator to traffic fatalities. What is clear is that government contractors will invest in social outcomes—but only when governments demand it. This year, Geo Group, the second-largest prison operator in the U.S., will begin operation of another prison using the Wiri model—in Australia. Rikha Sharma Rani is an Oakland-based freelance journalist who writes about policy, law and justice. Her work has been featured in The New York Times, Politico Magazine, and The Huffington Post.